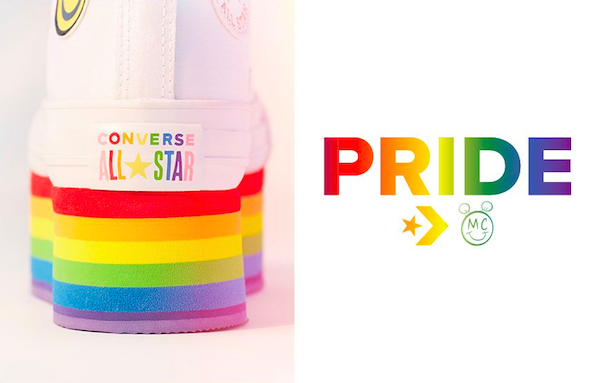 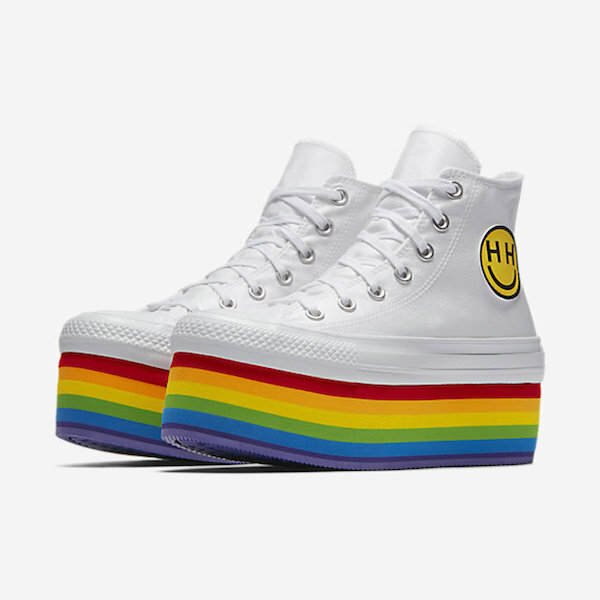 Converse and Miley Cyrus have teamed up for the second time to show their support for the LGBTQ+ community. 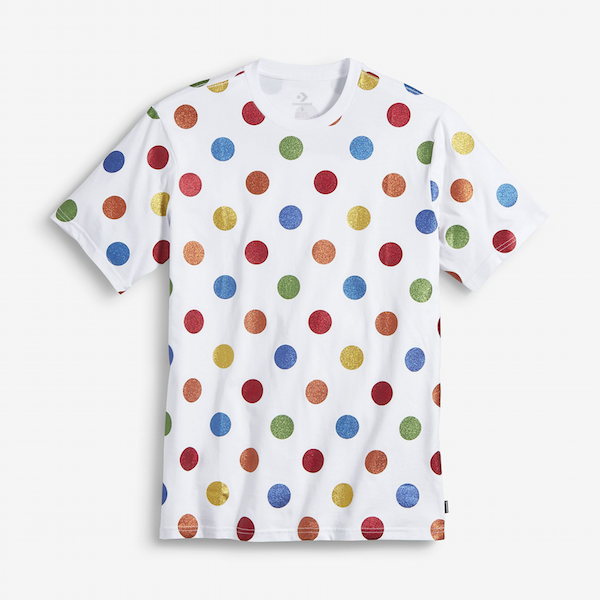 Bringing the Party in the USA to the rest of the world, the two have launched the cheery ‘Pride Collection’, which features rainbow hues and polka dots. 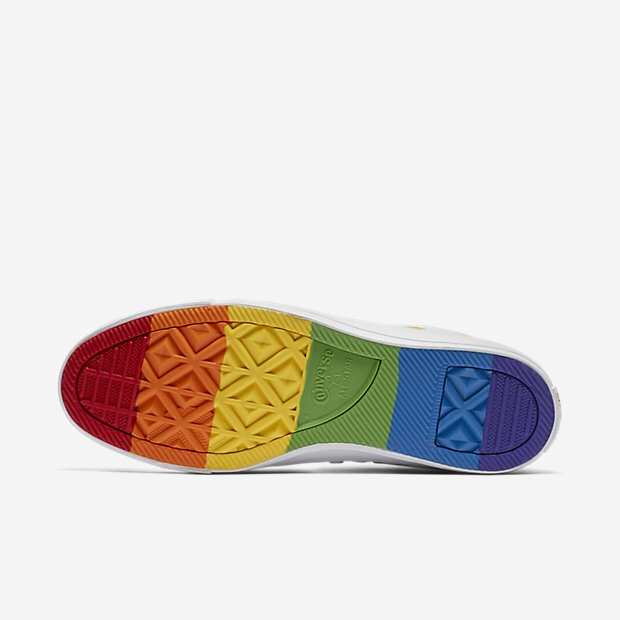 The singer herself identifies as pansexual, a term used to describe people who are attracted to others regardless of gender. 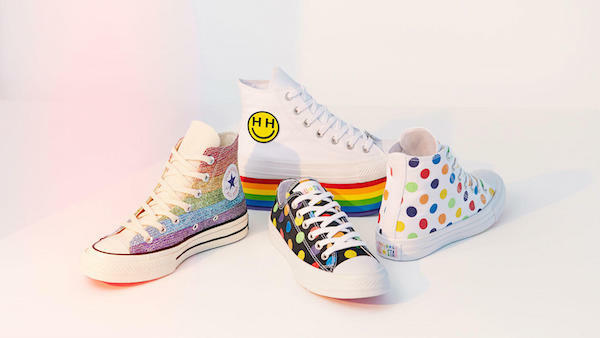 Converse steps up on its classic silhouettes of ‘Chuck Taylor All Star’ and ‘Chuck 70’ with four colorful unisex iterations that bear the logo of Cyrus’ nonprofit, the Happy Hippie Foundation, on their shoelaces. 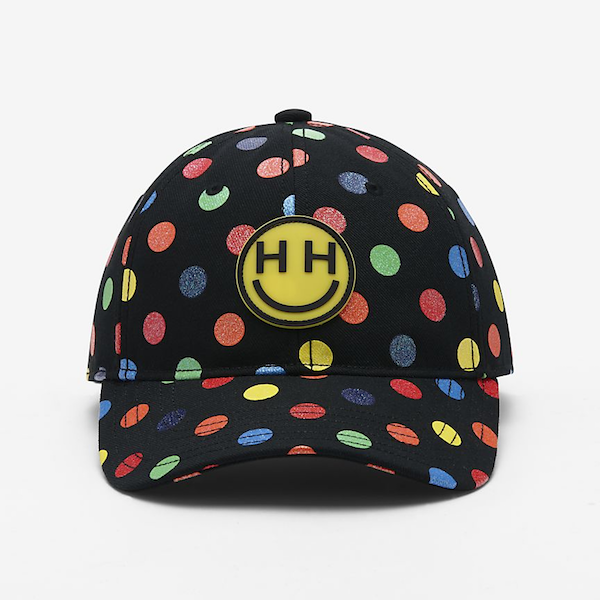 Similar motifs are seen on t-shirts, caps, a pullover, and a pair of track pants. 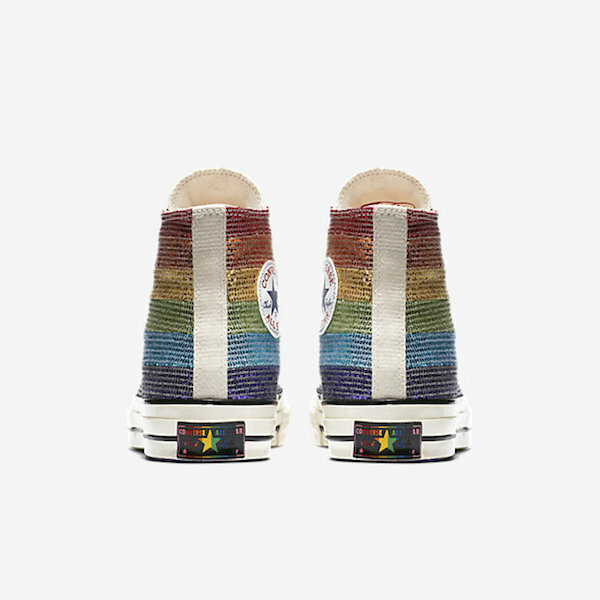 The collection’s most standout piece might have to be the multi-panel ‘Chuck 70 Hi’, which has all seven colors of the rainbow stacked atop one another on its platform sole. 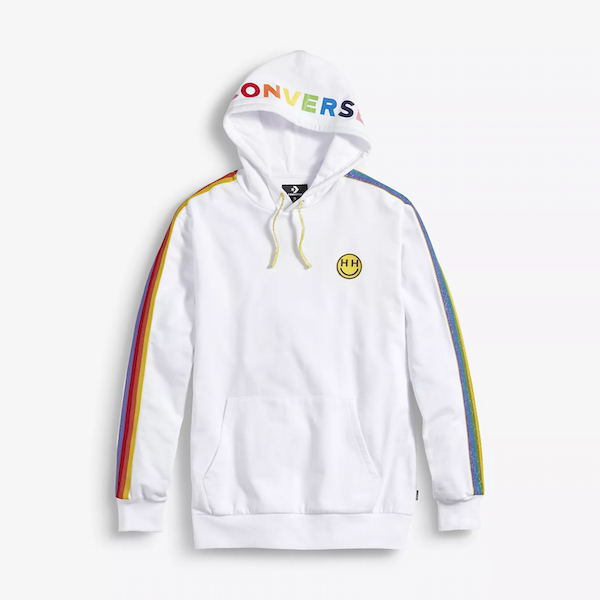 Its white upper is accented with Converse’s iconic branding on one side and the Happy Hippie Foundation logo on the other.